Think about something you’ve bought recently. Maybe you were inspired by an Instagram post or found a product on Pinterest and followed the link to the website. Later in the day, you might have stopped by the store after work or searched for the product on eBay or Amazon to compare prices. Your customers make their purchases through a number of different channels too: they shop on websites, social media, in apps, brick and mortar stores, and online marketplaces. As a merchant, this means that whatever you’re selling should be available to your customers in a variety of locations. But how can you be everywhere as a small business? People often say you can’t be in two places at once. Here at Ecwid E-commerce, we reject that statement. We believe that you can be in all places at once because that’s exactly what our software was designed to do. Our technology unites a bevvy of ways to sell online and in-person into single inventory, so you can serve your customers anywhere and everywhere they are from a single Ecwid dashboard. Here at Ecwid, we’ve made managing multiple sales channels as easy as checking your email. Curious? Read on to learn about some of the different ways you can sell with Ecwid, then give us a try for yourself! The moment you sign-up with Ecwid, you’ll be given a free one-page website to sell your products. We call it the Starter Site. Our Starter Site is designed as a stepping stone and a great way to launch your online presence with minimal cost and effort. You can customize your Starter Site’s template with your own cover images, text, and information about your business, like your story, testimonials, business hours, address, contact details, and social links. You decide the content, and we’ll automatically format it to look great on your customer’s screen. Selling your products on a website with 2 billion monthly active users sounds awesome, doesn’t it? In fact, the average Ecwid merchant with synchronized stores receives 15% of their sales from Facebook. Take your Facebook selling to the next level by opening a Facebook storefront. If you set up your Facebook store with Ecwid, your customers can shop directly from your business page and go through the checkout from any device. Getting your product catalog on Facebook also gives you the opportunity to advertise specific products with powerful marketing tools like Dynamic Ads and the Facebook pixel. It only takes a few minutes to create a Facebook store, and it’s also a great option as a standalone channel if you haven’t created a website yet. 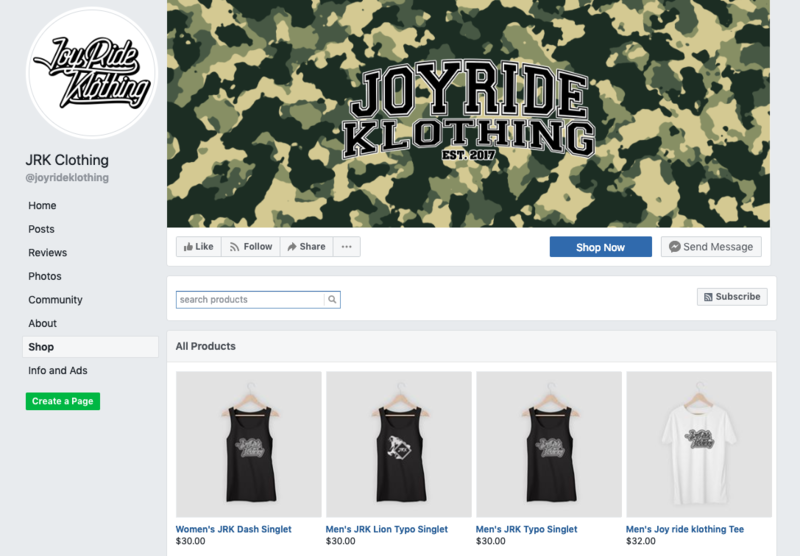 Follow our helpful guide to learn how to add products to your first Facebook store. Instagram is a hot platform for businesses thanks to its visual format and active audience. But there’s no easy way to convert a follower into an actual paying customer without the use of something called Shoppable Posts. 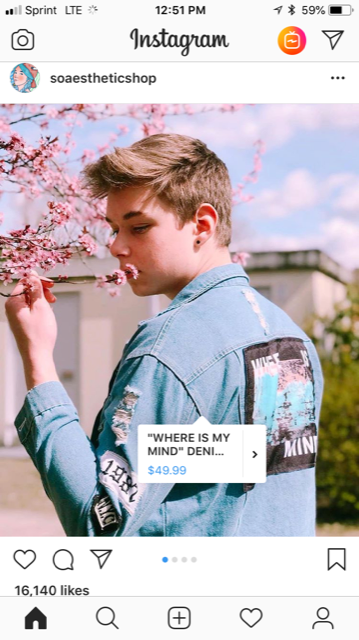 This new Instagram feature encourages purchases by allowing users to buy products featured in your posts by tapping a special shopping tag. 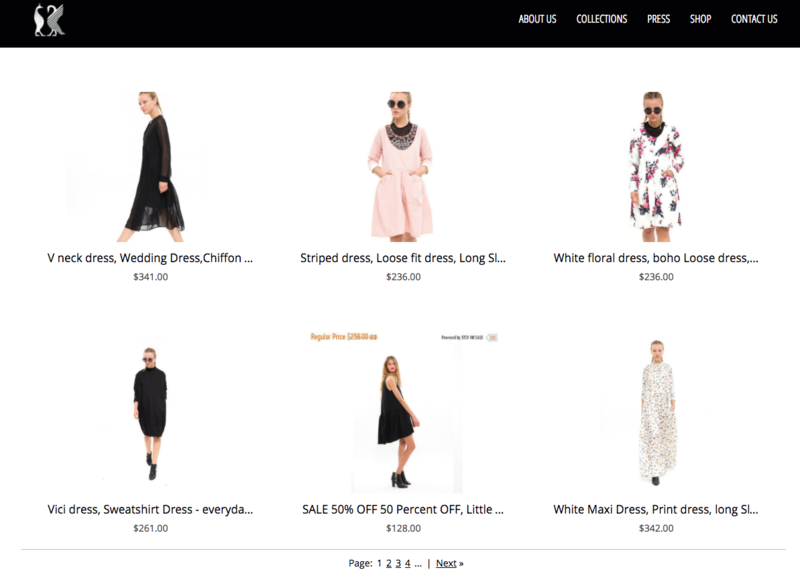 The user stays on Instagram during checkout and the whole purchase process is completed in just a few clicks. Ecwid’s integration with Instagram allows you to connect your Ecwid product catalog with your Instagram business profile and tag products in your posts (just like you’d tag people) that users can purchase. Take your Instagram feed from eye-candy to eye-catching storefront in minutes. These giant online marketplaces provide business owners with a large and ready-to-buy audience. While a standalone e-commerce website works great for building your brand, exporting your products to Amazon or eBay is a chance to sell on an already trusted platform with a developed infrastructure. Ecwid’s integration with Amazon and eBay opens these sales channels to merchants on Business and Unlimited plans. Sell on eBay and Amazon right from your Ecwid account, set up prices and product titles specifically for these audiences, and keep your inventory synced with your other channels. Test the deep water of marketplaces without ever leaving your Ecwid Control Panel. Maybe you already have a website? If so, it might be time for a commercial touch. You can add an Ecwid store to any existing website whether it’s built on WordPress, Wix, Squarespace, Joomla, Adobe Muse, Weebly, or something else entirely. Even with a custom website, it only takes seconds to plug in a new Ecwid store. Marketing tools like coupons, sale prices, etc. Access to Ecwid App Market with 160+ e-commerce apps and more. A Buy Now Button is a fast and flexible option to sell your products beyond your online storefront. Simply copy and paste the code to any spot on your website (just like embedding a YouTube video). You can customize the look of the Buy Now button by adding frames and choosing which fields are displayed (price, quantity, etc.). The color scheme of your smart button will automatically match your website and flow seamlessly with your company branding. If you want to create or edit your Buy Now button, open your Control Panel → Catalog → Individual product page → Embed Product → Copy a piece of code and paste to any desired page. A native mobile app under your brand name is a unique sales channel available in Ecwid. It’s fully responsive and works on every mobile device. With an app, your customers will always have your store right in their pockets, perfect for the quickly growing market of mobile shoppers. Having your mobile app available on the App Store and Google Play brings your business closer to your customers than ever before. Request your app today and have it ready in two to three weeks. Over 50% of your customers expect you to sell both online and offline — maximize your revenue opportunities by creating both an online store and physical points of sale. 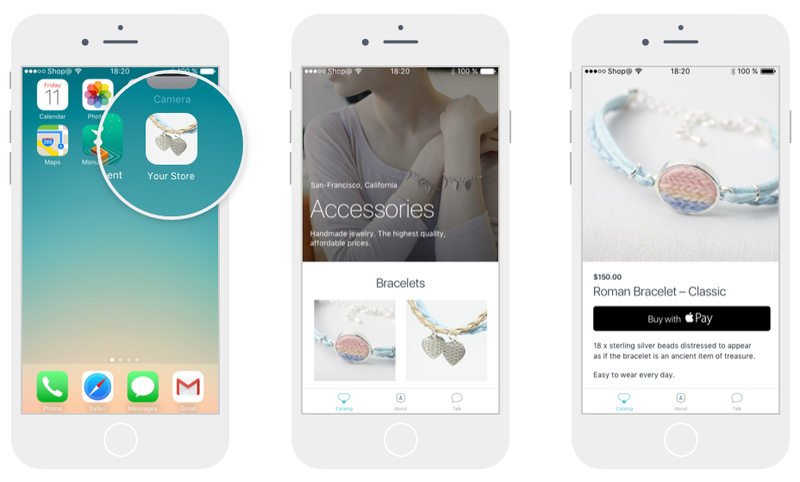 With Ecwid, it’s convenient to sell your products on-the-go: at craft fairs, marketplaces, or even a pop-up store. Accept cash and update your sales list using Ecwid Mobile for iOS and Android. No matter how many sales channels you use, managing your store with Ecwid is always fast and easy. For convenient access to your Control Panel from anywhere, download the Ecwid mobile app for iOS and Android to manage your orders and inventory, upload product pictures from your smartphone, launch and control special offers, and much more. Omnichannel shopping is more than another trend: it’s the present and future of the retail industry. It comes down to understanding where and how your customers like to shop and providing them with a seamless shopping experience that gives them access to your products at the right time and through the right channels. Create your free Ecwid account and start serving your customers better with a new omnichannel strategy. David is VP of Marketing at Ecwid and a seasoned marketing expert with 15+ years of experience.